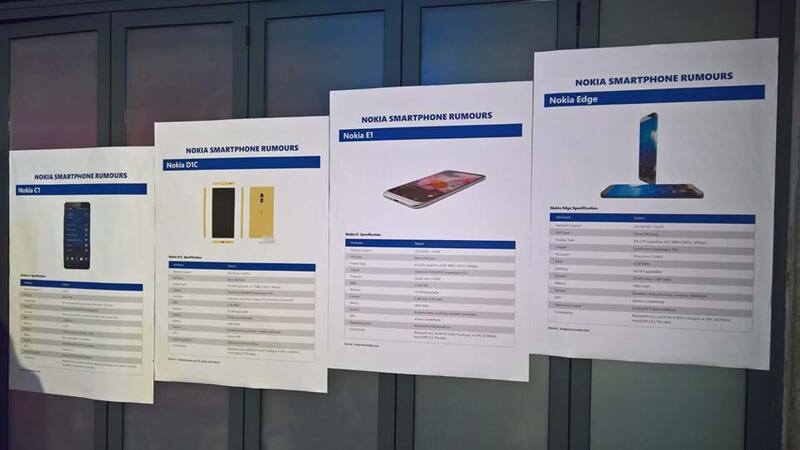 Staff of the Malaysian Nokia/HMD distributor revealed today that Nokia-branded phones are making a comeback on Malaysian market. Nokia Is Coming Back business roadshow organized by my company Avaxx Corp Sdn Bhd. From next onwards Nokia will start pushing out aggressively advertising and pricing through out the market. Nokia Smartphones are based on Google Android Pixel Platform. The strongest player never die and come back stronger. This is another confirmation that upcoming Nokia-branded HMD smartphones will use Pure Android, the same we find on Google Pixel phones. Additionally, aggressive pricing and advertising is something HMD’s CEO Arto Nummela was talking about, but it is nice to see that an official partner confirms Arto’s statements. 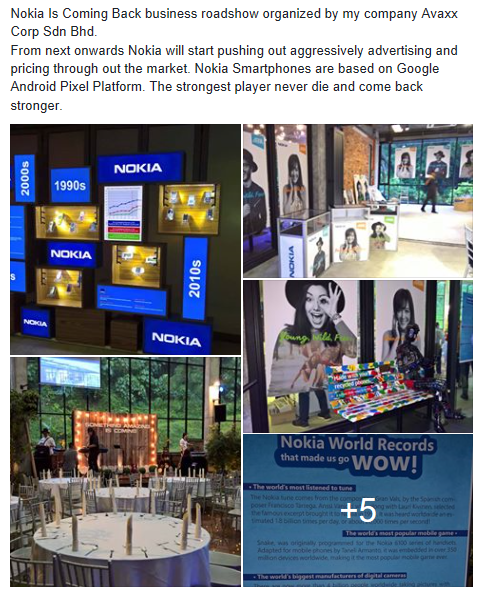 Another interesting thing is a photo posted on employee’s Facebook about the Nokia phone rumors. Today we learned the alleged internal naming scheme of the upcoming Nokia device. The Devices in development are called A1, B1, D1, and E1. We also learned a lot about Nokia D1C, and that HMD will unveil at least 4 phones in 2017.